This years birthday to me is a milestone. It’s my 35th birthday. I have mixed emotions right now. As I mentioned before one of my really good friend is not longer here and I miss him dearly. Like clockwork he would text me at midnight to wish me a happy birthday. I missed that this year. 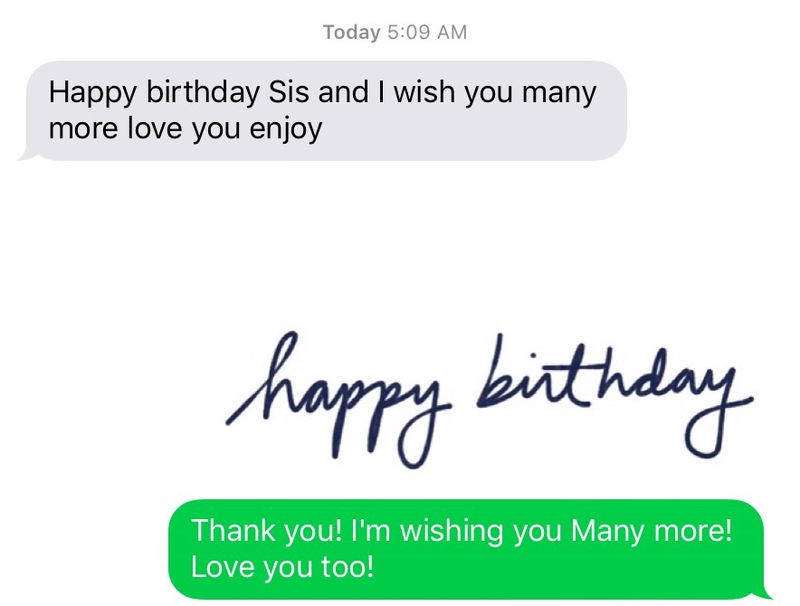 However my brother got me first this year with the Happy Birthday text. A few years ago we started this thing to see who can say Happy Birthday first. I got him the first few years. This year and last year he got me. You see! He got me. I’m not feeling well which is probably how he was able to text me first. I try to get him in the middle of the night. It wasn’t happening this year. I took some theraflu and off to bed I went. I’m just hoping I’m better by Saturday for my birthday. Let me rephrase that I will be better by Saturday for my party. I can’t wait. In celebrating my self I want to celebrate womanhood. For so long I wanted to have the ideal body type and to be what tv said was the perfect women. I’ve learned through the years to be my own perfect woman. I’m not perefect but I am me. In getting ready for this party I lost 70lbs… I went from 285 – 215. I wanted to get to 200 by the time of the party. However, I’m satisfied with my progress thus far. I will continue once the party is over. I’m truly happy with myself and I’m proud of myself. My party will be a boudoir photo shoot party. I want the females in my life to embrace who they are no matter what size they are. I want them to truly accept themselves as is. It took me a long time to get here and now that I’m here I want them to get there. The day will be spent talking about girl stuff, sharing beauty tips and secrets, encouraging one another, and helping each other. Each female will receive a personalize gift from me that hopefully will continue to inspire the woman they are. Many say I went a little over board for my party and maybe I did. The take away is what makes it all worth it. For each of them to know they had a role in helping me become the woman I am today. I want them to know what they mean to me and others. I want them to also know that they are thought of. We as people try to live up to others perception of us . It’s too many perceptions to live up to. So just live up to you own and be you!